Zinc alloy lock body and plane-face lock cylinder. Manufactured with CNC machines, this model features superior quality and high precision. Lock numbers are randomly set by computer. Applicable for virtually all car models. With a pack of screw fittings; 20 sets/box packing; NW: 9kg; GW: 10kg; measurement: 0.81 cu. 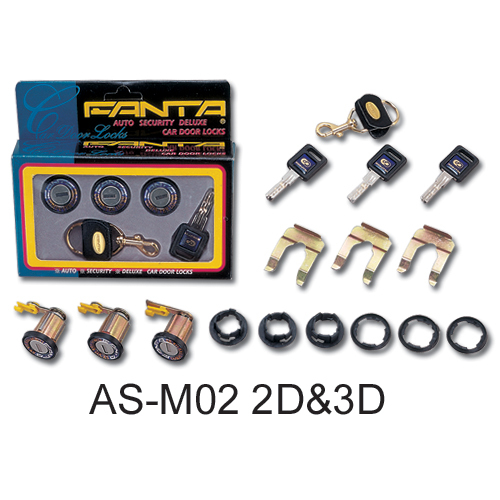 ft. AS-M01-2D two-door car door lock; 20 sets/box packing; NW: 6kg; GW: 7kg; measurement: 0.75 cu. ft.